December 30, 2016 – On December 31, 2016, official clocks around the world will add a leap second just before midnight Coordinated Universal Time — which corresponds to 6:59:59 p.m. EST. NASA missions will also have to make the switch, including the Solar Dynamics Observatory, or SDO, which watches the sun 24/7. 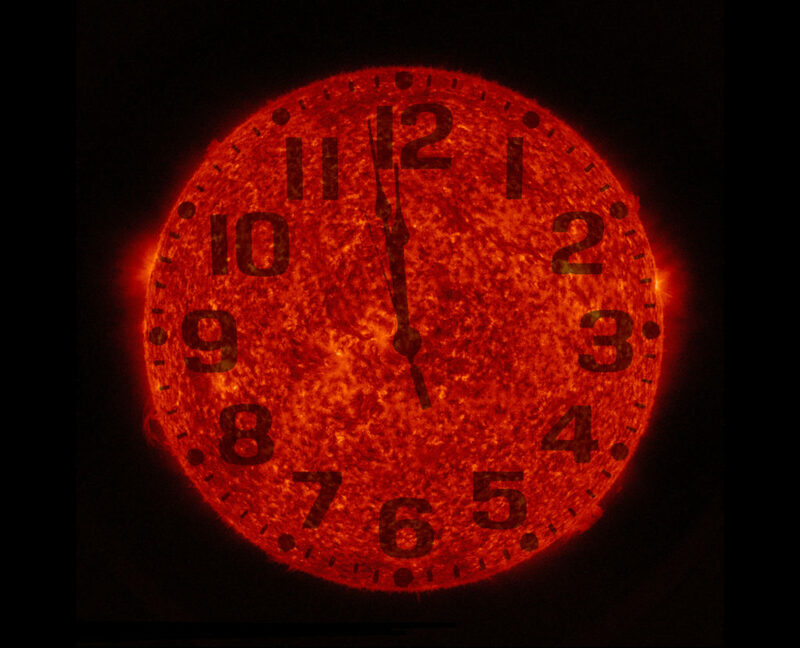 The leap second is also key to making sure that SDO is in sync with the Coordinated Universal Time, or UTC, used to label each of its images. SDO has a clock that counts the number of seconds since the beginning of the mission. To convert that count to UTC requires knowing just how many leap seconds have been added to Earth-bound clocks since the mission started. When the spacecraft wants to provide a time in UTC, it calls a software module that takes into consideration both the mission’s second count and the number of leap seconds — and then returns a time in UTC.